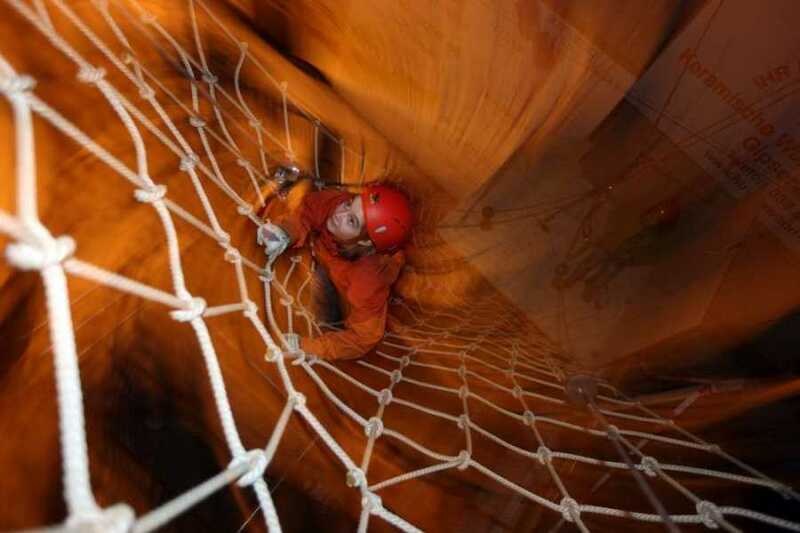 Under the roof of the ice hall both young and old can balance, climb or fly across the sometimes rather wobbly and challenging courses. 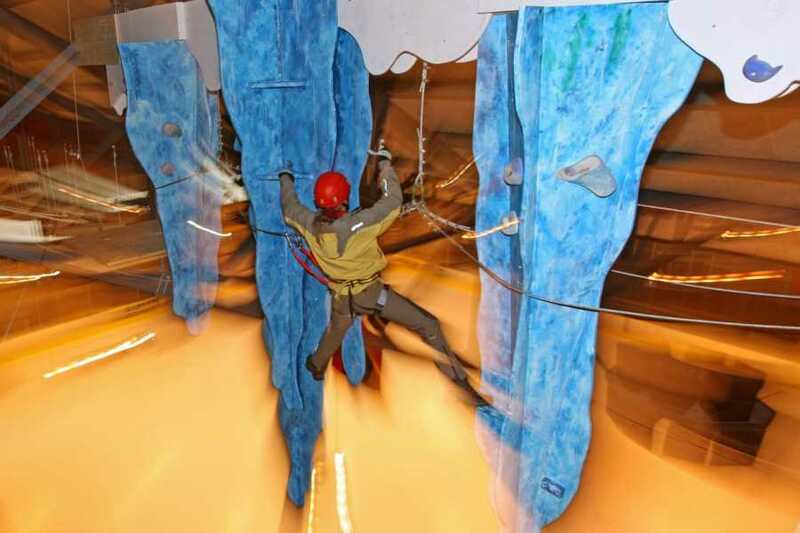 The five different courses contain 40 elements based on the theme of mountaineering and offer many highlights such as: negotiating the giant icicle, flying through the air in the haulbag, or swinging across the daring Hinterstoisser Traverse. Use of the Indoor Rope Park requires no particular level of fitness. 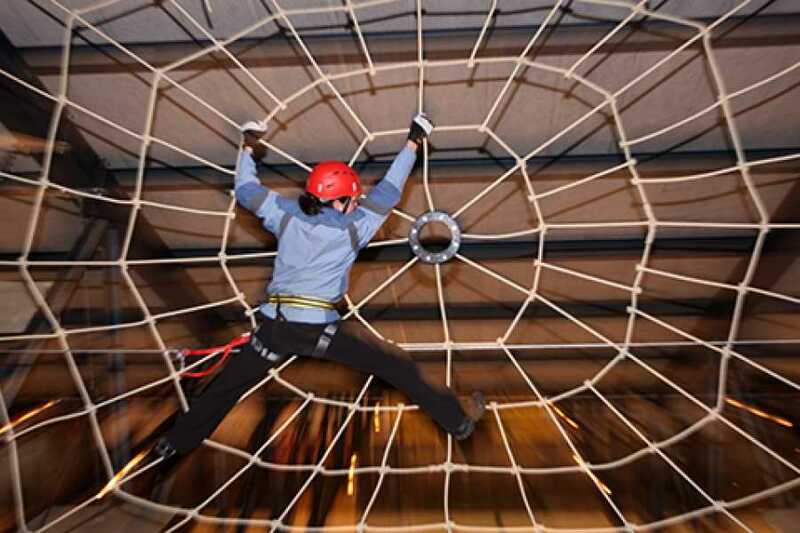 All users of the Indoor Rope Park will be supplied with the necessary equipment and instructed by the staff. For groups of 6 or more we open the Park on request.